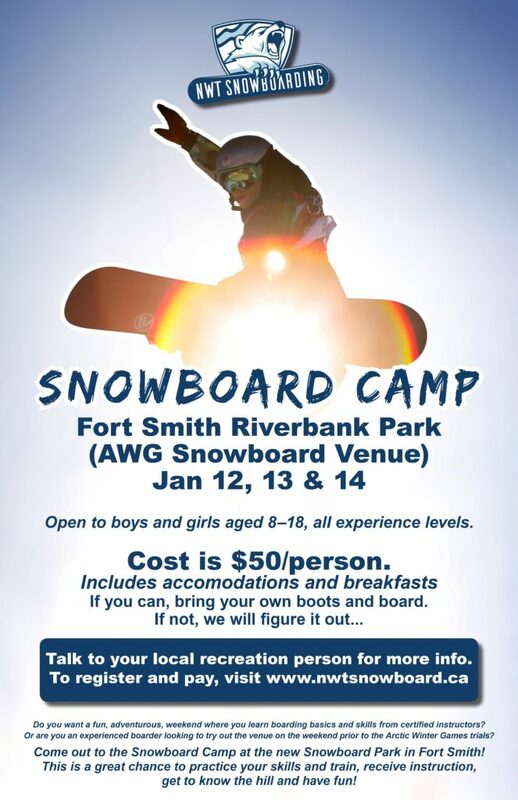 Fort Smith’s regional snowboard camp has been tentatively rescheduled for the weekend of February 17-18, 2018, after being postponed due to extreme cold weather in January. The camp is open to all ages. For more information about travel to the camp, accommodation and schedule, please contact Don Jaque at the Fort Smith club. We’re excited for this event and thank the Fort Smith club for their efforts toward making this a success! Register for the camp in Fort Smith by clicking here and filling out the form. The cost to register is $50 per participant.